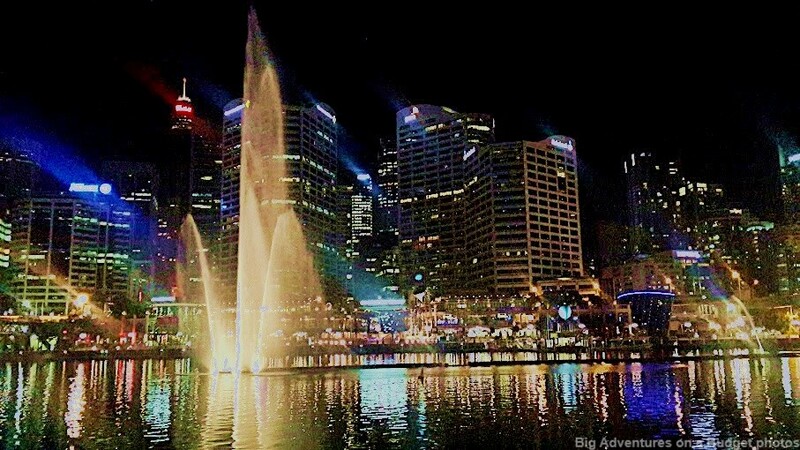 Sydney is a spectacular city that simply has a “wow” factor wherever you go. Whether it’s the Opera House, the Harbour Bridge, Bondi beach, Oxford Street or Manly, there are so many incredible places to see. From Sydney Airport, the fastest and cheapest way to get into the city is by train. You can save yourself a lot of money by getting an Opal card when you first arrive at the airport – it’s free and the fares are a lot cheaper than buying individual paper tickets. The train into the city costs around $14 and it takes about 15 minutes. Another way to save money is on accommodation. You can rent a private apartment on Airbnb in a nearby suburb for just over $100 a night. Otherwise, you can try couchsurfing. I have couchsurfed here and had a great time staying with some backpackers who lived in Darling Harbour. It’s free and there are heaps of hosts in Sydney. If you can’t afford to stay right in the CBD, try to stay near a train station or on a bus line that is within a 30 minute commute. 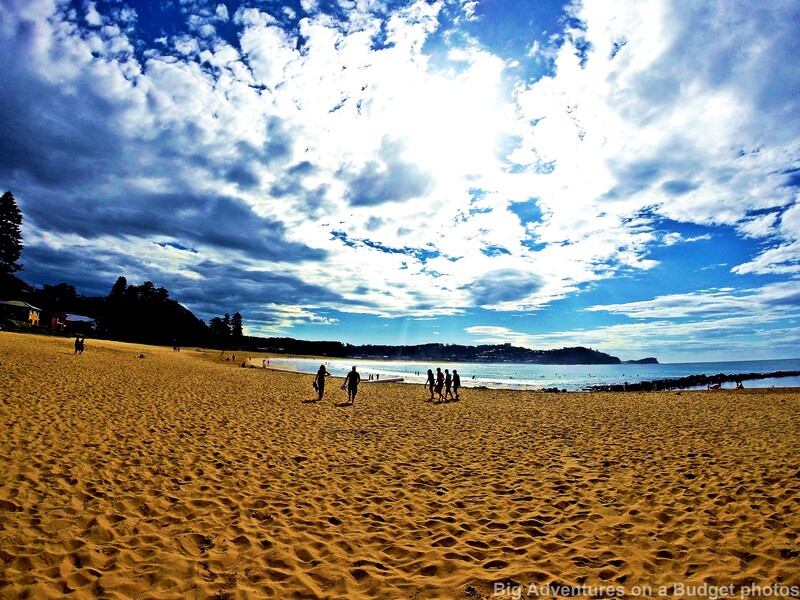 Start by visiting Bondi beach. From the city, catch the Eastern line train to Bondi Junction ($3.80). Then catch either the 333 or 380 bus to the beach ($2.70). Jump off and dig your toes into the sand while watching the very attractive instructors teaching surf lessons. This area has a great vibe and is riddled with backpackers and local celebrities. Walk to either ends of the beach (North or South Bondi) to get some great views and photos. From Bondi catch the 380 bus north to Watsons Bay ($3.70). The end of the line is a park in front of a beautifully scenic jetty. 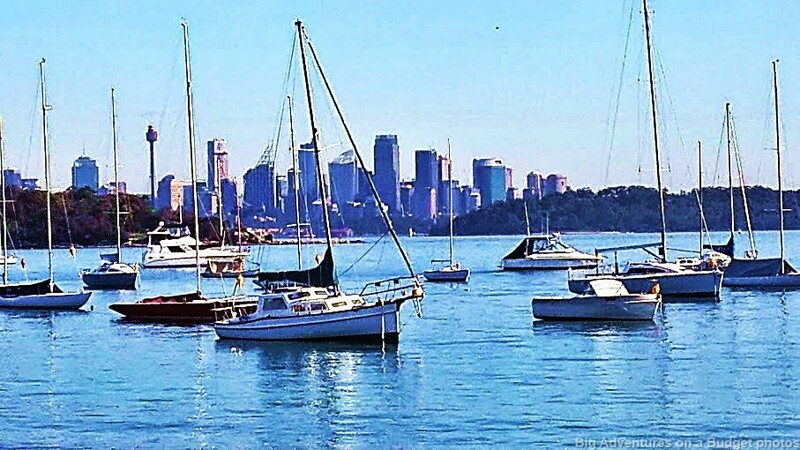 This is a good spot to stop for lunch; either grab some famous fish and chips at the waterfront pub, or join the many people having picnics in the park, both with a bold view of the skyline. From the park walk down Cliff Road to come to a dead end. This will uncover Camp Cove beach, a virtually untouched golden stretch of sand with an incredible view of the city skyline. If you continue to walk around the path you will unveil some even betters views of both Camp Cove on your left and the skyline right in front. 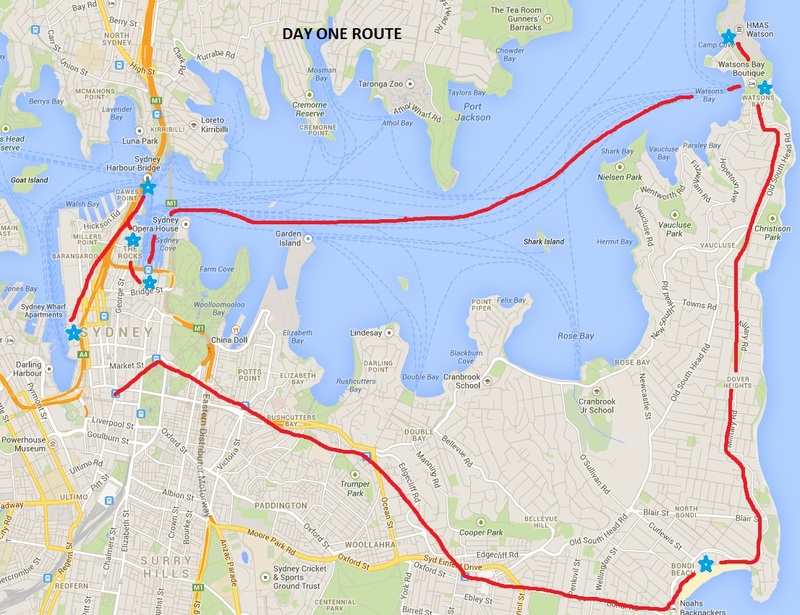 From here walk back to Watsons Bay and jump on a ferry to Circular Quay ($6). Coming into the city you will have great views of both the Sydney Harbour Bridge and the Opera House so get a good spot at the front! Spend some time walking through the area of The Rocks, next to Circular Quay. This is foodie heaven, with fancy progressive eateries of all cuisines and loads of homemade food stalls down Argyle Street giving out free samples. From here you can find the pedestrian walk across the Sydney Harbour Bridge. Climbing it costs $150 so walking is the next best free thing! From about half way across this peaceful walk you get an amazing view of the Opera House and the CBD. Walk back to Darling Harbour for sunset and treat yourself to a cold crisp drink after a hard days exploring (I certainly did). There are some great places to eat here which are surprisingly reasonably priced considering the beautiful waterfront location filled with foreigners. At night, if you’re a young party goer or solo traveler I would highly recommend buying a ticket to the Official Sydney Pubcrawl. It’s only $20 and you go to four or five great bars and get a drink at each. It’s full of international people and you make friends as soon as you walk in (I had an awesome night). If that’s not your cup of tea, I would recommend either staying on the Harbour surrounded by the waterfront and gorgeous lights, or hitting up a trendy bar in Surry Hills. I’ve been to both the Clock and Beresford Hotel on a weekend and there was a great down to earth crowd and fun atmosphere. The hostels in Sydney aren’t cheap, averaging $45 in the city. In saying this I would recommend couch surfing. This is the best way to get local knowledge and make new friends. I spent a weekend couch surfing on Darling Harbour and had a great time with my host and other surfers. If you have another day to explore I would recommend branching out of the CBD and seeing some of outer Sydney. 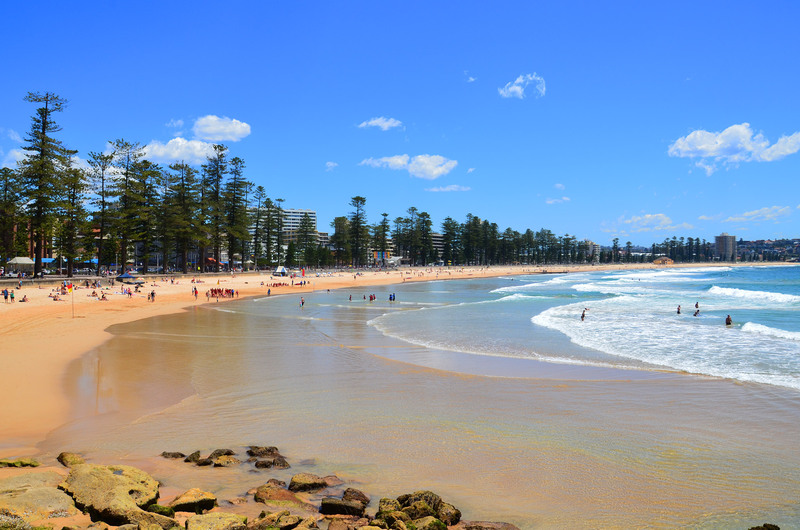 You can take a 45minute ferry from Circular Quay to the very popular Manly beach. Buy some fish and chips and take it down to the beach to relax. 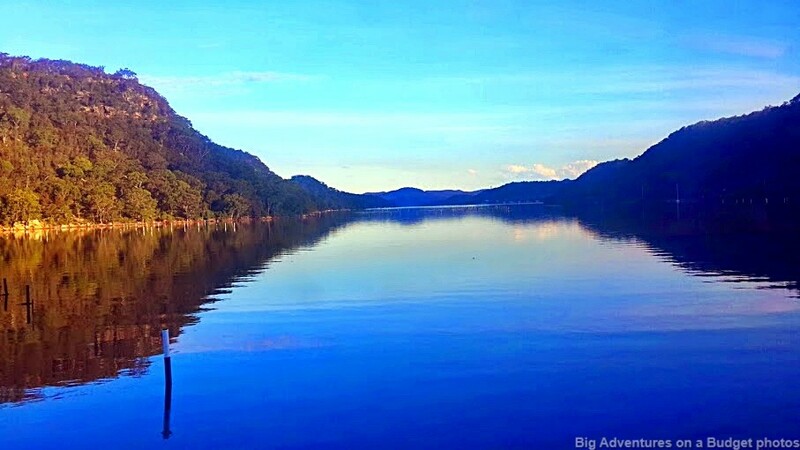 You can also take a train up to the Central Coast of NSW from Central Station. There are many stunning beach towns scattered all the way up that make a great day trip. 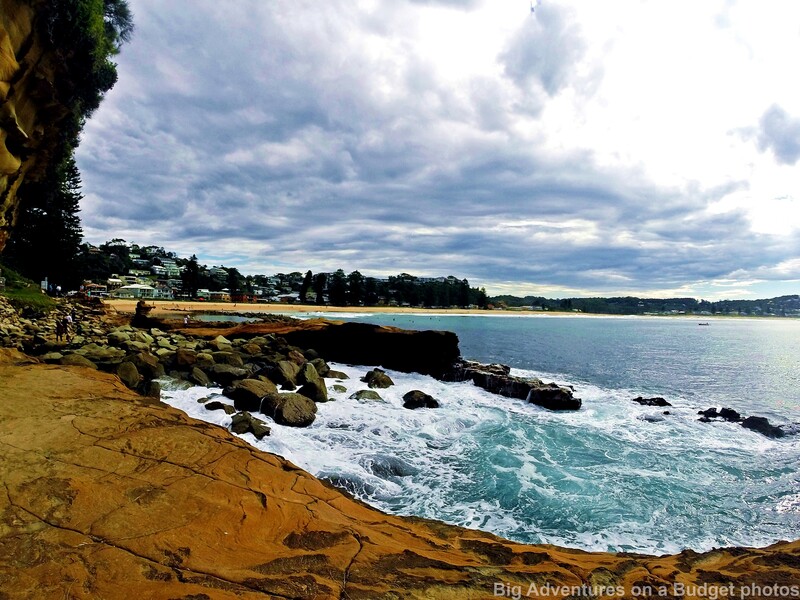 Between Sydney and Newcastle I would recommend seeing Terrigal, The Entrance or Avoca Beach. A ticket there is $8.90 and is well worth it; even the train ride itself is picturesque. Happy exploring! If you want more information, check out Lonely Planet’s guide to Australia by clicking below. 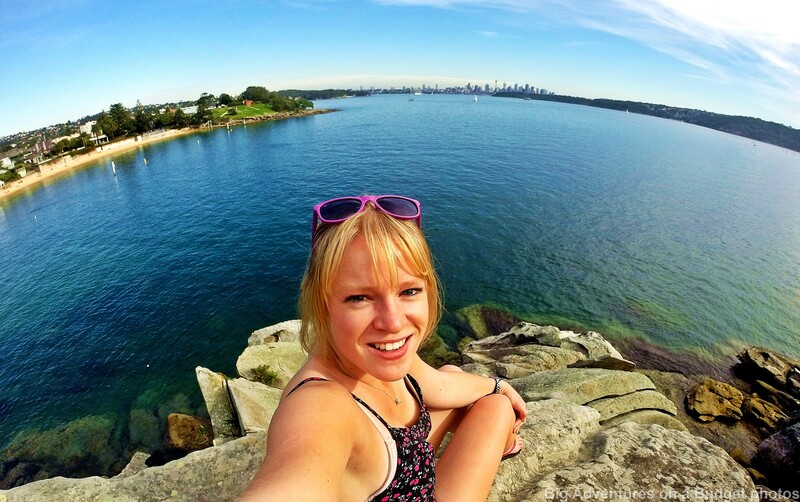 This entry was posted in Australia, New South Wales and tagged beach, bondi, budget, Couch surfing, darling harbour, sightseeing Sydney, sydney, walking tour, watsons bay. Bookmark the permalink.